In addition to the Pet Health Care Library, we have provided the following links to websites that have some great information on a variety of topics related to veterinary medicine and pet health care. Canada’s guide to purebred dogs. This site offers general pet information and a gallery of quality breeders of Canadian Kennel Club-recognized breeds. Founded by Brian Kilcommons and Sharon Wilson, best-selling authors and recognized experts on animal training and behaviour, this site is a terrific resource for advice on a variety of behavioural problems. If you want to learn more about feline house soiling, barking dogs, aggression, or any other behavioural problem, check this one out! This is the website of the National Animal Poison Control Center. It includes a library, links to other sites, and phone numbers for the poison control centre. The official site of the Canadian Cat Association. Canada’s only Purebred Feline Registry. The AAFP has lots of good information regarding feline health. Thinking of becoming a veterinarian? A career in veterinary medicine is challenging and fulfilling. We have one of the top veterinary institutions in the world (it’s the oldest continuously-operating veterinary college in Canada and the United States); a centre of excellence in service, research and education. The OVMA is committed to advancing excellence in veterinary medicine, the betterment of animal health and contributing to the protection of human health. 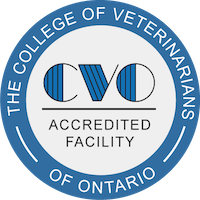 The CVMA site is an excellent starting point to learn more about a variety of topics of interest to veterinary medicine in Canada. We will update this page frequently, and would love to hear your ideas on links that you would like to see us add to this page to share with other pet owners. Feel free to send us your favourites. If we think they will be helpful to other pet owners we will be sure to add them to our list. Thank you in advance!